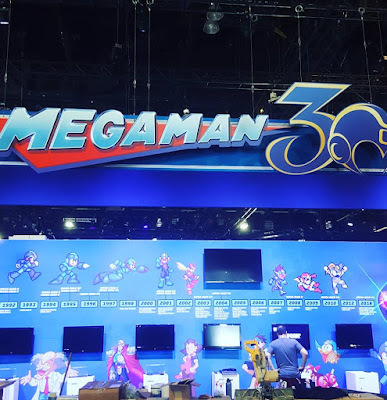 Anyway, while the 30th anniversary booth is still under construction, we can already tell it will play host to a wall-spanning franchise timeline and several demo stations for Mega Man 11 and Mega Man X Legacy Collection 1+2. Both titles are playable to the public for the very first time. Swing on by if you have the opportunity! 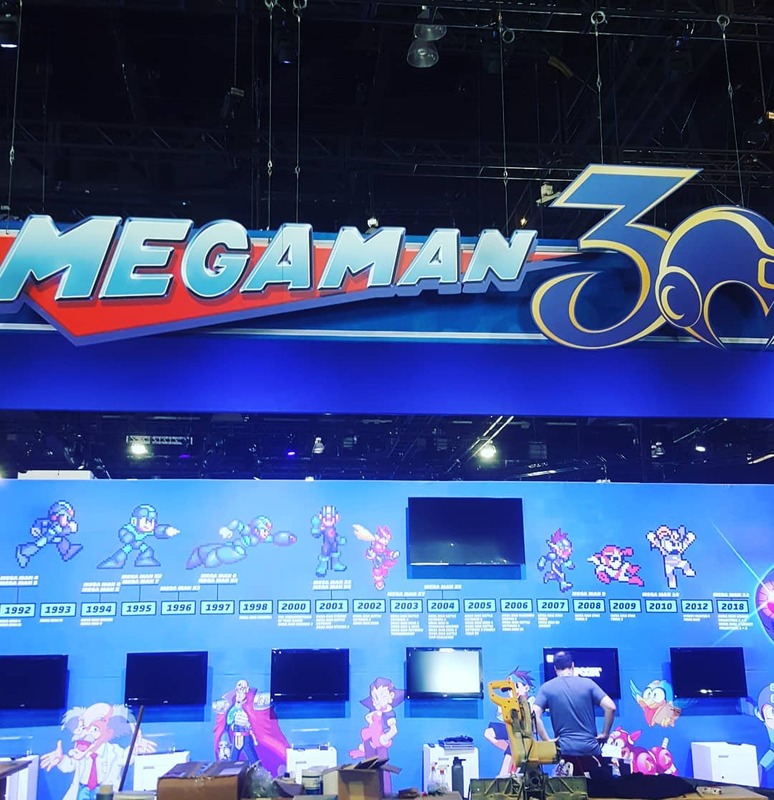 We're expecting quite a bit of Mega Man news from E3 this year. More Mega Man 11 and Mega Man X Legacy Collection 1+2 updates and – if we're lucky – Mega Man in Super Smash Bros. for Nintendo Switch. Hang tight and stay tuned! Damn ZX Can't catch a break! No sprite or artwork for it I see. It might be there, just not in this photo. ZX may be at the far left or right. My first reaction at the "timeline" was: "where is Legends? Oh Tron is there." And I sighed to myself thinking that Tron would not be enough to represent the series. I do love that there's tons of screens though. Wonder how many will have MM11 or just Legacy Collection... here's also hoping for a hands-on in the X Collections as well. Out of the entire Legends cast, you and I know as well as any Mega Man fan that Tron is the most popular character, hence why they always pick her to represent it (though we know some people like her for less savory reasons). X is easily the best looking sprite when you see them all up there. Zero is a good one too. Very random selection of sprites. Logo looks good. Very exciting! Can't wait for any and all announcements! Great. Also, what is with the whole clamoring for ZX lately? Just a question. Is it me or Capcom hated Xover so much that they put Street Fighter X Mega Man instead? At least that's what I think the 2012 game of the booth is. It could be because Xover didn’t release in the US. The dates seem to reflect the US dates. I hope Mega Man will be in Smash. I hope they have surprise for us -- Rockman & Forte SFC for the first time in English translation ? (NO GBA PORTED). I am into Rockman games. Smash ? Bluh! I do not care about MegaMan/Rockman for Smash. I never liked Smash games. Always find it a bored game. Since N64. I will skip it.